He tried every method he knew, and not a single one was successful. Making a silicon mold caused the model to be too thin to use a wax injecting method. Even if the wax injection came out, it was way too thin to cast. Ready to give up on the project, afraid he would let down his client, Kurt turned to Fernando, master jeweler at Irelia Fine Jewelry. 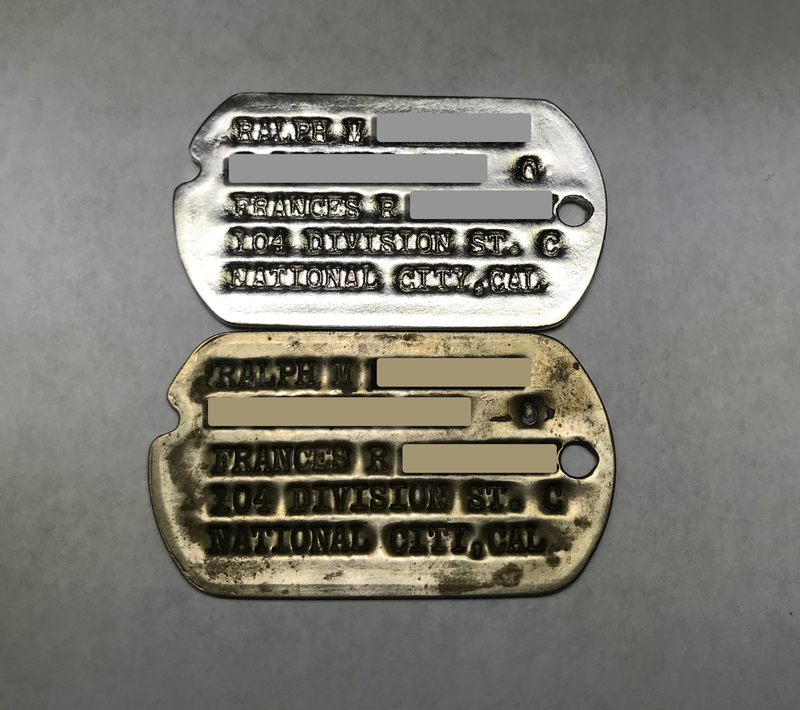 Fernando sprayed the dog tag with 3D scan spray and placed it on the work plate in the new B9 Scan 350. 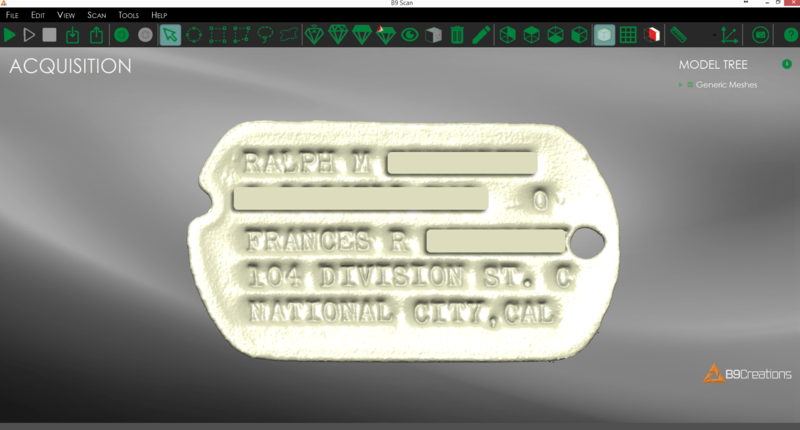 Using default settings, in a mere 10 minutes he got a high-detail STL file of the tag. From there it was as simple as importing the model into Matrix and creating a thicker back plate, so this new piece would last a lifetime. Pictured above, on top, is the final finished replica along with the original below. Learn more about the B9 Scan 350, see it in action, and scroll through our scan gallery showcasing everything from engagement rings and shadow bands to family heirlooms and gemstones. Ready to get your 3D scanning solution? We’ll sweeten the deal. Right now, B9Creations is running a Black Friday and Cyber Monday promo where our first customers get $1500 off our brand-new 3D scanner. Get the promo code.